Himalaya Herbals AyurSlim is made from a blend of herbs carefully selected from nature that help regulate your metabolism and manage weight naturally. How does AyurSlim work ? AyurSlim makes your body burn excess fat through regulating the body’s fat metabolism through the actions of Garcinia and Guggulu. Gymnema helps to reduce food and sugar cravings throughout the day. With AyurSlim, you will keep your figure in shape – the natural way. Results of this product are excellent. 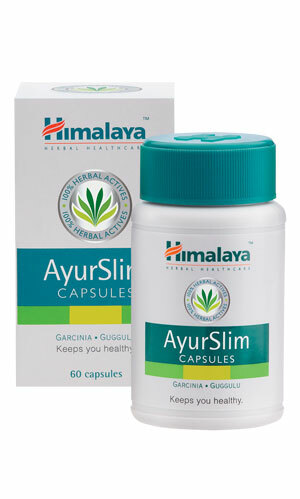 Take 2 capsules of Himalaya Herbals AyurSlim twice daily after meals. Recommended after breakfast and lunch.